“ Master is a title that has been awarded to me by my senior Grand Masters for whom I have deep respect and admiration. I never consider myself a Master due to the fact that I am always a student first. I am always studying and improving my knowledge and insight into my Art”. My journey in the martial arts started at the age of 4 years old with my father In Yung Ah-Yuen on the island of Mauritius. My father having learnt some Kung Fu in China began to develop his own system. He trained daily until the age of 87 yrs old a few days before his passing. Throughout my childhood, he would wake me up often in the early morning to train with him on top of the roof of our house . I have never met anyone so focused, disciplined and dedicated to his health, training and fitness. Throughout my life, I can count on one hand the days he did not train. I have been blessed to have such an amazing role model in my life. However, it wasn’t until I moved to Canada that my training in the Martial Arts took on a more defined, serious meaning. My evenings during my teenage years were spent at the dojang (training academy) under the tutelage of sah bu nim(Master) Wing Kent Fu. We had a special bond and trust and my respect grew deeper as I progressed in the ranks of Tae Kwon Do, hence my journey to become a Master had started. After almost 30 years of training, I officially became a Master in 2012 under Grand Master Park Jong Soo, one of the oldest living Grand Masters today. It was definitely a big accomplishment for me and it defines a lot of my perspective on life and the world. But I believe that humility is the number one trait that a black belt should have. Therefore, I do not talk much about it. 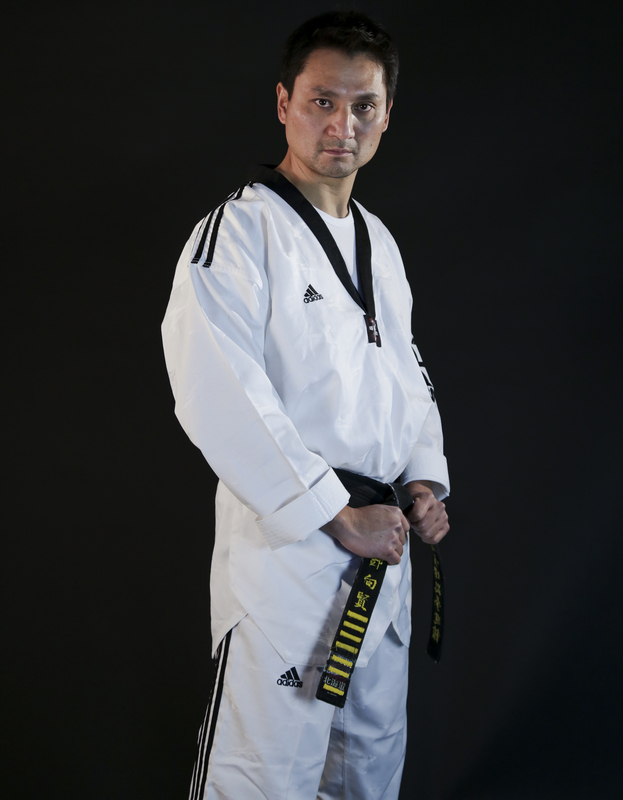 My duty as a Master is to continue to impart knowledge to all my students at my dojang( academy). I have a sense of responsibility to all those who have passed down the knowledge through the ages but more importantly to improve upon it. The Art has given me so much and now I give it all back for the improvement of others. As a Master Instructor, my goal is to ensure that my students become better than me.